Every summer, Art. 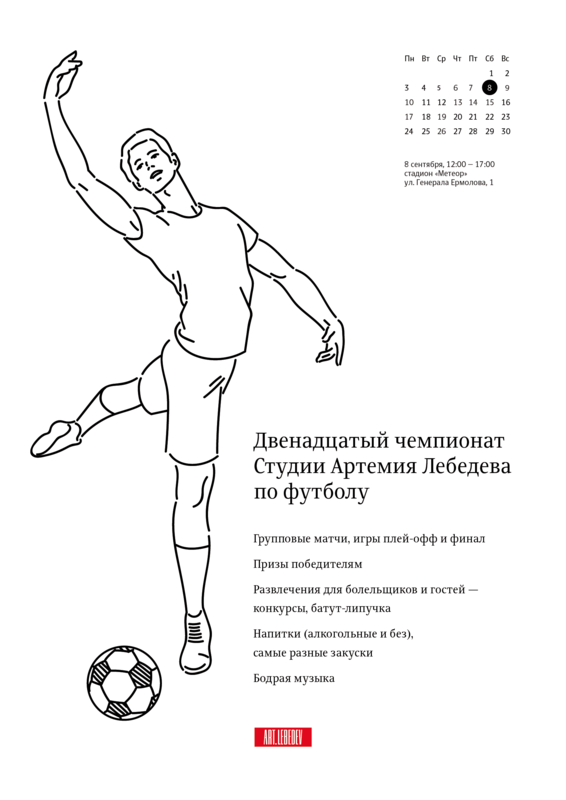 Lebedev Studio employees get out from behind their desks, stretch their legs and arms, gather up in teams, show some blush on the usually pale cheeks, put on uniforms of proper colors and compete for the title of the best club. 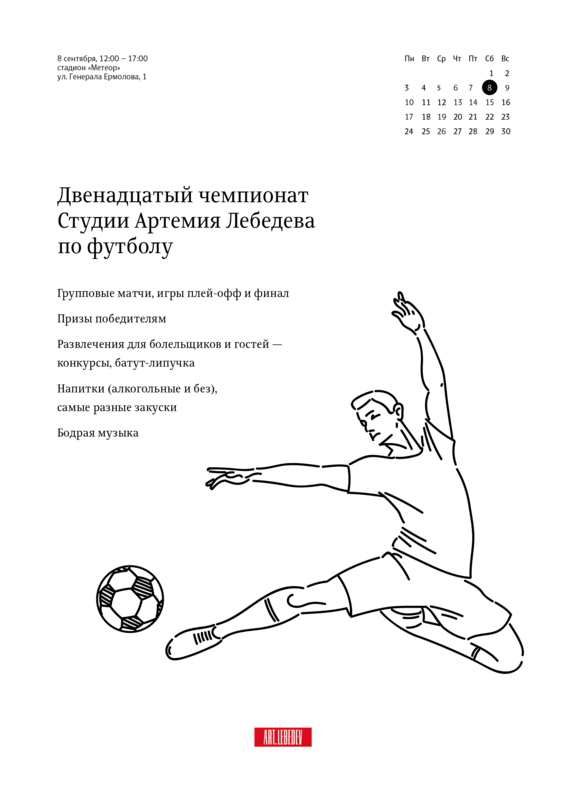 The twelfth soccer championship is conducted at the studio in 2018. 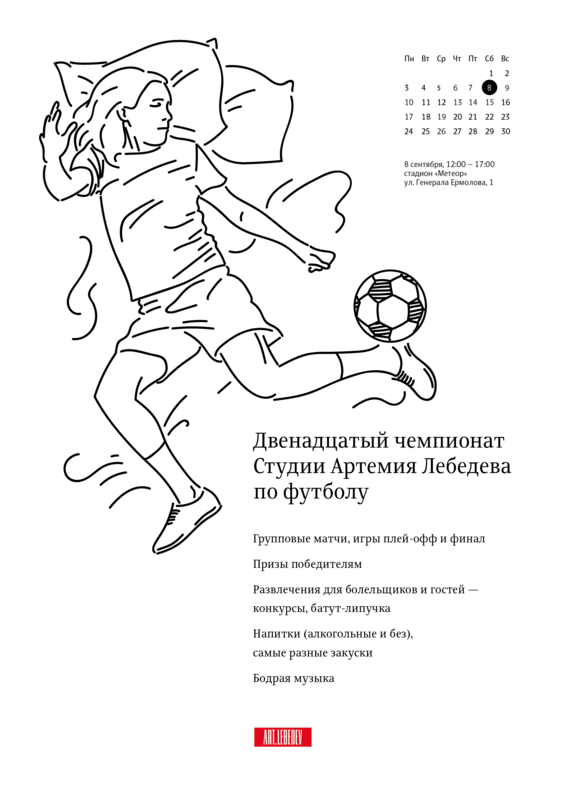 To make sure those who don’t play soccer come to the stadium to support those who do, a series of enticing posters showing artful blowing, sleeping, laying, standing, dancing and dribbling with balls was created.